Now available for the first time – the definitive Do It Yourself Lazure painting kit including a 30-minute instructional online video utilizing the technique and experience of Master Lazurist, Charles Andrade. 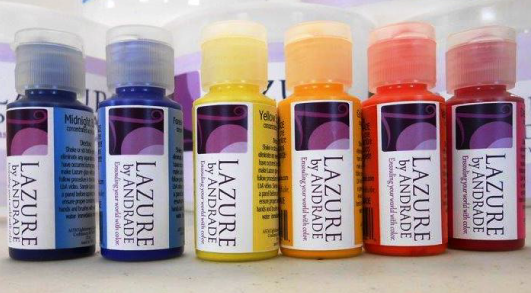 Andrade has been Lazuring and teaching Lazure workshops worldwide for over 25 years. 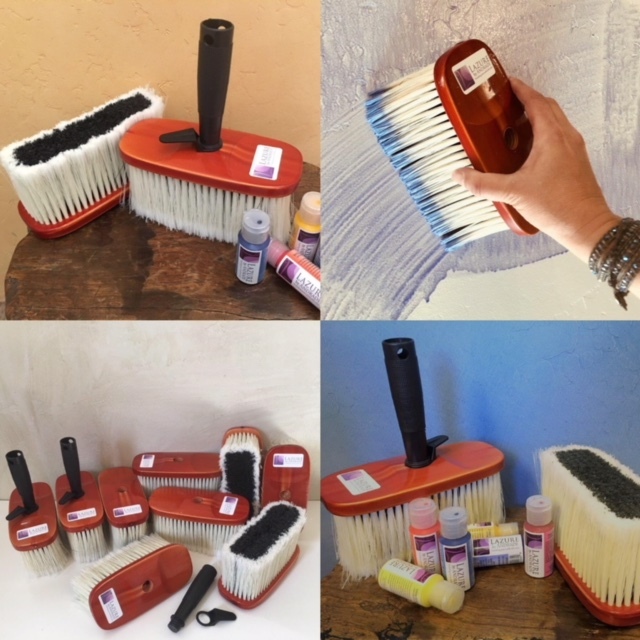 With this DIY Lazure painting kit and instructional online video he provides all the tools and guidance you will need to create luminous, Lazured spaces in your own home and at your own pace. A specially designed set of six custom high quality artist colors that allows you to create the entire spectrum found in an complete color wheel. A detailed printed brochure outlining color mixing, color schemes for your walls along with some basic color theory and a 30-minute detailed instructional online video with Charles teaching the correct and basic step-by-step Lazure painting process and technique. “The video is WONDERFUL and answered so many of our questions – and alerted us to issues we most certainly would have come across, but didn’t know about (astral burn, fadeouts). It also delighted us to hear Charles speak of the spiritual aspect of the painting, describing the Earth, Air, Fire, Water elements of the process – something that resonates with us. This specially designed set of six custom high quality artist colors allows you to create the entire spectrum of colors found in a complete color wheel. This set of 1 oz. bottles of acrylic colors should easily allow you to Lazure a 9 X 12 room. Colors include: Midnight Blue, Forever French Blue, Yellow Sunlight, Golden Sunflower, Vermilion Velvet and Deep Red Rose. If you’re planning to Lazure larger spaces or several rooms, you can purchase additional color sets and individual colors below. or send an email to info@lazure.com. Do not leave the brushes to dry in the air while they have paint on them. 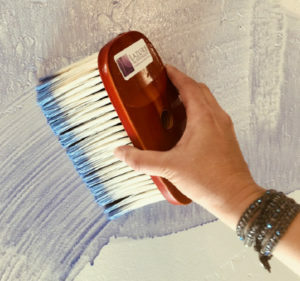 If you do have difficulty cleaning them, soak them briefly in de-natured alcohol to loosen any residual glaze paint that begins to affect the brushes efficiency. 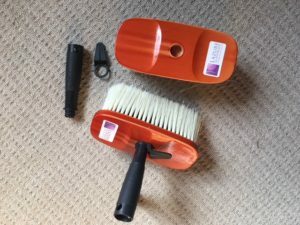 **Always wash your new brushes in warm dish soapy water and stand to dry immediately after use or put in a soapy water bucket to soak until you can clean them thoroughly.